Eighteen-year-old Vivienne lives in a world of knights and ladies, corsets and absinthe, outlaw magic and alchemical machines. By day, she is lady-in-waiting to the future queen of Camelot--Guinevere. By night, she secretly toils away in the clock tower as apprentice to Merlin, the infamous recovering magic addict. Then she meets Marcus, below her in class, destined to become a knight, and just as forbidden as her apprenticeship with Merlin. 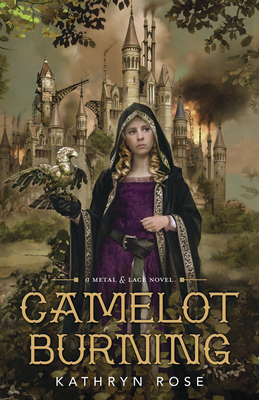 When Morgan le Fay, the king's sorceress sister, declares war on Camelot, Merlin thinks they can create a metal beast powered by steam and alchemy to defeat her. But to save the kingdom, Vivienne will have to risk everything--her secret apprenticeship, her love for Marcus, and her own life. Kathryn Rose (Los Angeles, CA) graduated from York University with a degree in literature and philosophy. When she isn't breaking up fights between her cat and dog, Rose can be found writing and reading mostly speculative fiction, cooking with her husband, or listening to rock music.